Nowadays mobile application is a new way to engage more clients online. So, it’s time to have a mobile application for your business. We offer to your business a professional, lightweight and all device compatible iOS, Android, Windows and Custom MobileApplication that will stand out your business from the crowd. 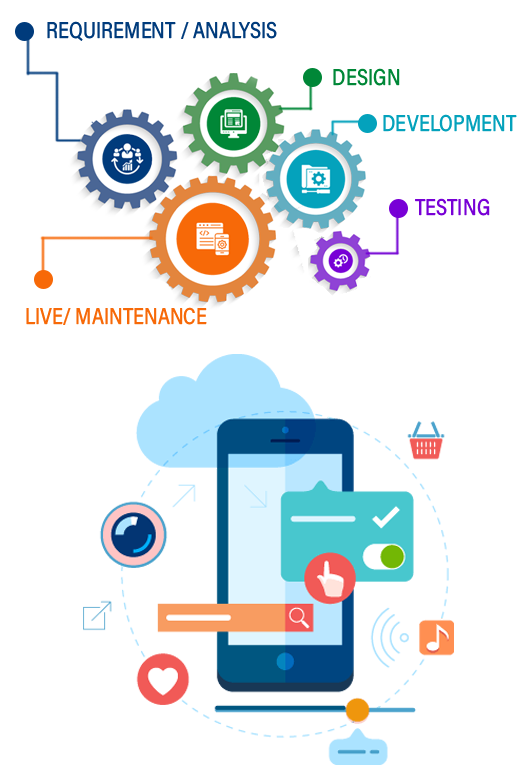 We as the best mobile app development company in Delhi India helps you to get customized, high-performance mobile applications to boost your business. Mobile devices are a part of the everyday lives of billions of people. Smartphone users and tablet users use their devices to shop, make appointments, communicate, and manage complex life works.Apps are a part of daily life, and provide access to your business. Customers demand more than a website and they want to be able to conduct transactions, make appointments, preview new products or services, and do it all with a swipe and tap. Working, playing, and living move faster now than ever before and your business needs to updated and meet those needs. We will be building all types and sizes of business apps.